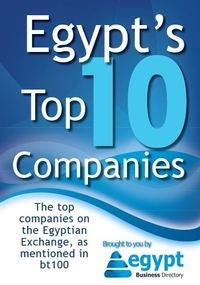 Egyptians released a number of innovative products in 2011, despite all the challenges ahead, including Wadeeny and Law3andakDam. A lot happened in the Middle East over the course of 2011, revolutions started in Tunisia, Egypt and still in action in other countries, 2011 was a momentous year that no one could have ever foreseen. Technology in general and especially social media played a major role in the revolutions happening in the Middle East but despite the economic fallback, Egyptians managed to work through it and release a number of innovative products that we found very interesting. Law3andakDam is an online service that matches blood donors and patients based on location and blood type. Given what was happening during the last 6 months in countries like Egypt, twitter was filled with requests for blood at different hospitals, and we feel this site adds value to people who need blood donations. Bey2ollak is a community based traffic information service aiming to keep track of the status of all major roads. It’s a must have for people travelling from the outskirts of Cairo in New Cairo and 6th of October. Wadeeny.com is a new carpooling service in Egypt that puts safety first. Helping Egyptians share rides and drive less, save gas costs and car usage by sharing rides. Mashaweer is the first personal service company in Egypt. Mashaweer is purely dedicated to save Egyptians time and effort by running errands for them. And if you’ve ever been in Cairo traffic during work hours, you’ll know this is a dream come true.